I had a business trip this weekend, working on a project for a customer of mine in the Orlando area. The work was to be done on Sunday, so the plan was for me to fly in late Saturday night, work all day Sunday, then fly home on Monday morning. The airline schedules and prices didn’t work out that way, so I actually ended up flying into Orlando early Saturday morning and back out on Monday afternoon. That meant I had some time to stop by and visit some folks at one of my favorite places, Walt Disney World. 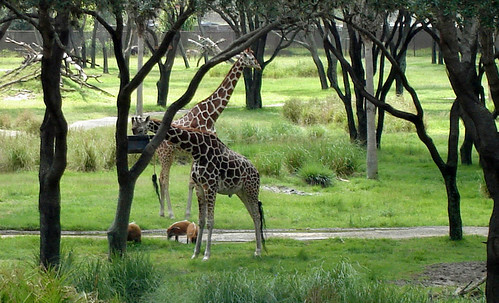 Saturday I visited with Joe who was working at the Boardwalk resort, hung out a bit with Paul over at Saratoga Springs, then grabbed a shuttle over to the Animal Kingdom Resort area to see some giraffes other beasties. I ended up back at the Boardwalk, for some dinner at the ESPN Club and a leasurely walk around the lake. While I was walking I ended up helping some security, transportation and marina cast members with a bizarre situation – a long kite string had gotten draped across the lake, and was even running over the top of the lighthouse. 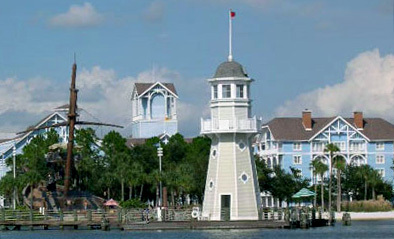 I found the kite as it fell off one of the yacht club buildings, and reportedly the string went not only across the lake, but through the trees, across Epcot Resort Blvd and into EPCOT’s World Showcase, hanging on the Eiffel Tower… that’s somewhere between 600-1000 meters of kite string! We got the kite freed from a tree and John, in one of transportation’s ‘pusher boats’ gathered the string out of the lake. 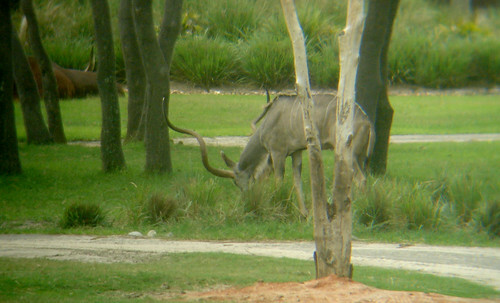 As I left them they were working on ways to get the remaining string out of the trees between the lake and EPCOT’s France. It was a very long but relaxing day, which helped by putting me in a really good mood for Sunday’s long work day. Monday, after checking in with my customer, I had a little more time before my flight and swung by again to stop at the marketplace. On my way down East Buena Vista Drive, I saw smoke starting to rise, and by the time I got to parking lot 5 it was really billowing so I pulled in to see. And you know what they say… where the’re smoke, there’s fire. 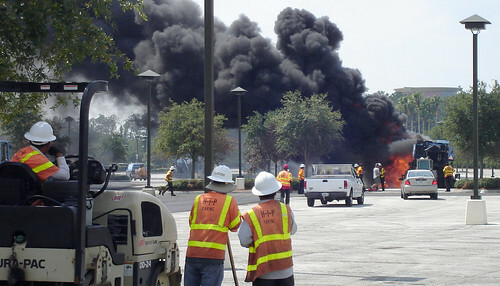 A paving company was resurfacing the parking lot at Downtown Disney’s West Side and one of their tar trucks caught fire. Here are some of the workers watching. Though you can’t see it, the guy on the right is snapping shots with his cell phone camera. The workers closer to the fire are running around like crazy, trying to get their equipment — and themselves — away from the flames. 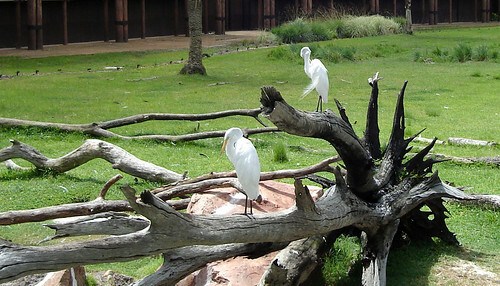 There were no cast members or guests involved that I could see, security was keeping folks at a safe distance and the Reedy Creek Fire Department trucks & firefighters were on the scene quickly. I took some more pictures then went over to the marketplace for a couple of minutes. By the time I drove by again, headed out to the airport, the flames and smoke were gone. RCFD was still dumping water on the truck, cooling it down to begin what I guess to be a long and messy cleanup. Thanks for posting the images of the fire. I live in central Florida and this is the first coverage I’ve seen of it. I heard about it as it was going on though. One of my coworkers has a relative who works near where it happened. I hope no one was hurt. I’m glad none of the beloved DTD buildings caught fire!